SilentWings 2 fans offer the best balance between performance and noise emissions at only 16.9 dB(A), while maintaining excellent reliability. The secret: A unique, flow-optimized fan blade design, special anti-vibration mounts as well as a high-quality fluid dynamic bearing for greatly reduced noise emissions and an extra-long lifespan. 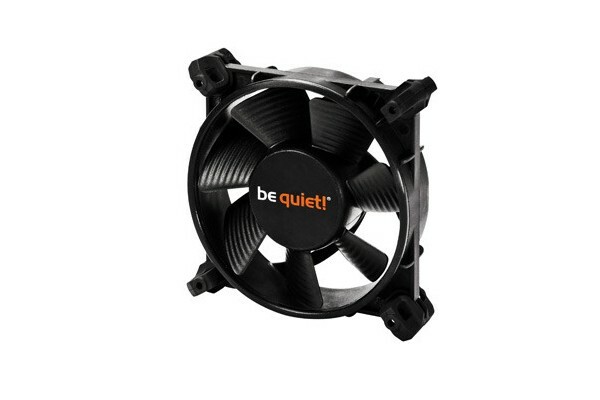 SilentWings2 fans are the best choice for all applications which demand quiet operation and uncompromising performance. With the high-quality, oil-lubricated fluid dynamic bearing, mechanical friction is eliminated. Newly developed modular anti-vibration mounts and a rubberized fan frame minimize transmission of vibrations from the fan to the PC case and its components. IC motor controllers of the highest quality additionally reduce noise from the electronic components. The copper core of the bearing improves heat transmission and hence extends the lifespan to up to 300.000hrs. A unique, flow-optimized fan blade design increases air flow and reduces noise-inducing air turbulence. Three mounting alternatives allow installation with or without screws in the case or on other components.